Click here for photo link. Christmas is a wonderful time to spend with your friends and families. Eating lots of food, drinking wine and playing fun games. 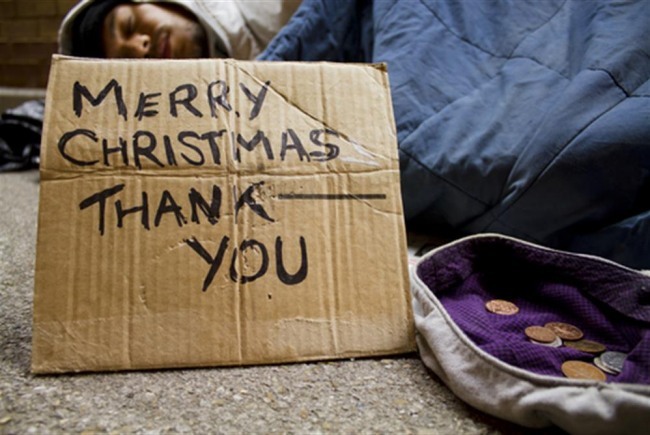 Something I think about each year, ever since I started working for a charity, is what about the others who are less fortunate than me and what about the causes that need to raise money to offer their services. A service for supporting the homeless, cancer sufferers or children with life shortening conditions… just to name a few. Christmas day is a popular time for people to volunteer to serve food to the homeless, so why not join? The more help the better. I know that homeless shelters do struggle for volunteers in the evening so why not spend some time helping out after you’ve spent time with your family, I am absolutely sure others will appreciate your time. It’s important to remember you are lucky to eat a hot meal everyday and that others don’t get that luxury. A good time to volunteer in a charity shop (apart from always) is after Christmas. Donations come in thick and fast once everyone has had a clear out to make room for their new bits and bobs. You could spend a couple of hours in the week, or even on the weekend helping a charity shop sort through donations and prepare them for sale. Charity shops are a huge income source for charities but it’s a hard job and they majorly rely on volunteers. So why not become one. I work for a children and young adults hospice with charity shops in Buckinghamshire, Oxfordshire, Berkshire and Gloucestershire. We always need volunteers in our shops so if you’re interesting in getting involved with us, my email is in the contact section of my blog. Tesco are currently collecting food for the refugees in the form of tins and packets. Those are are fleeing their country are fleeing not by choice but because of war. We, as fellow humans should help. By donating food to this cause we are helping children, mothers and families eat a meal. It doesn’t take much to donate a few tins of soup or packets of super noodles but it makes a difference. What makes a bigger difference is asking all your friends and family to also donate. Think of all the mouths you could feed if you worked together with your family to support the refugees. Buy A Present In The Form Of A Goat! Why not buy a gift for someone you love this year in the form of a goat or chicken. They won’t physically get a goat or a chicken (that would be a crazy present to wrap) but someone in poverty stricken country will. Someone will benefit everyday from the eggs the chicken lays and the milk the goat produces, which is incredible. You buy the gift on behalf of a loved one, they’d get a card (via post or email) and the message in it is that you’ve bought an incredible gift for someone in need. There is an entire range of presents you can purchase such as goats, toiletries, mosquito nets or a wheelbarrow – all necessary items for survival. Now there’s a gift guide worth making! If you click here you can buy a Christmas gift for someone in need. There are two amazing options to sponsor and support a child. One by supporting with the gift of a blanket or schooling. Another is by setting up a direct debit to sponsor a child continuously to allow a child in need to grow up with food and the chance for an education. When you’re making your Christmas shopping list, why not add a couple of extra gifts. Not for yourself or for your family, but for a child that needs saving. See here for more info. "The Best Christmas Films (With A Twist) // Blogmas"
"What’s In My Winter Handbag // Blogmas"
Ah this is such a lovely post, I wrote something similar last week. I always acquire a mass of hats, scarves and gloves so each winter I go though them and give the ones I don't need to charity shops or homeless shelters.